As part of the Wall Family Enterprise of companies, Technology Supplies had undertaken a centralisation project for all UK distribution. A new purpose built 78,000 square foot Distribution Centre was manufactured at the existing Technology Supplies site in Shrewsbury. 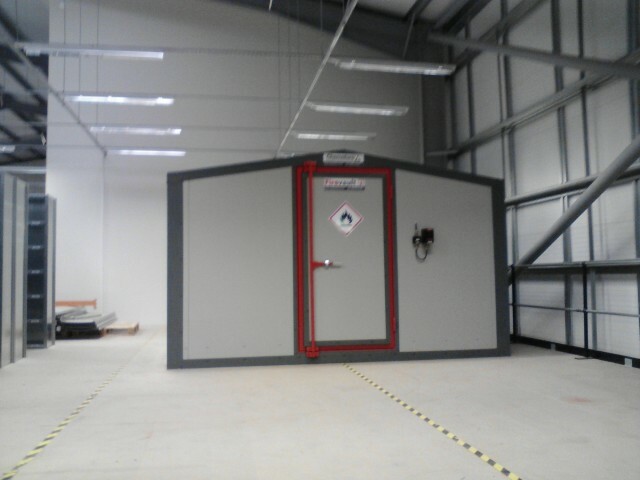 One of the businesses re-locating to Shrewsbury, supplies large amounts of small containers of flammable liquids to educational establishments. Because of the highly flammable hazards of these products it was extremely important that an efficient method was identified to enable the safe storage and picking of these products. 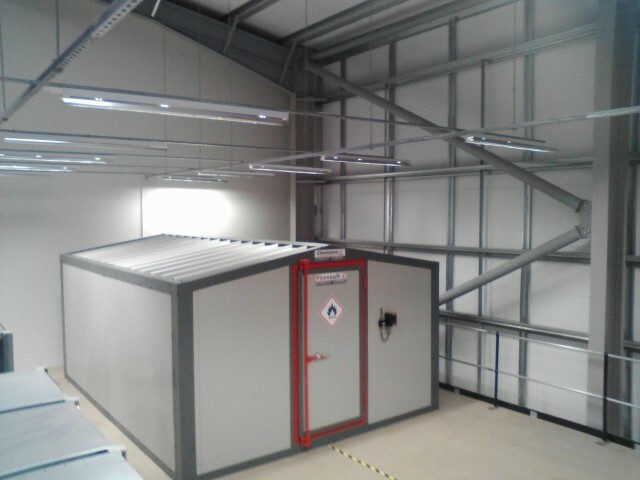 Following lengthy consultations with both insurers and health and safety consultants, a 120-minute fire rated solution was specified as a requirement. 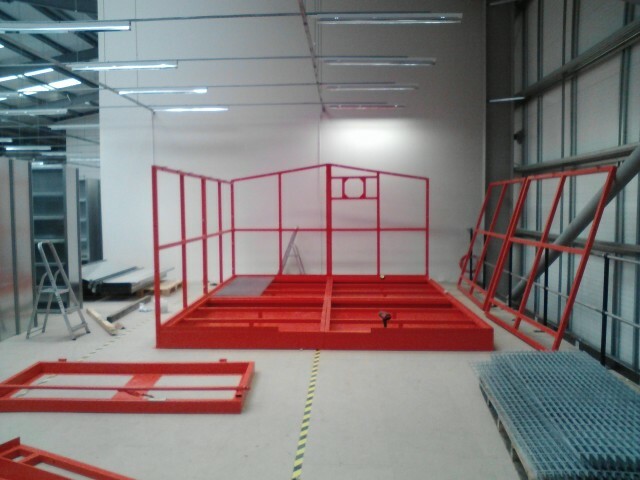 Because of the live working environment, various contractors still building the extension, racking being installed and the requirement to situate the solution on a mezzanine floor, a ready-built solution was not feasible. 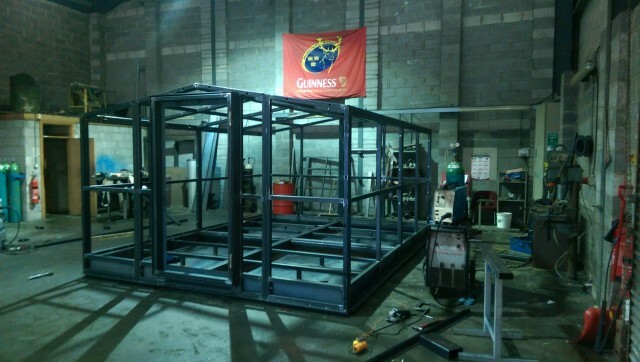 The images show the unit being pre-fabricated in the Chemstore manufacturing facility. 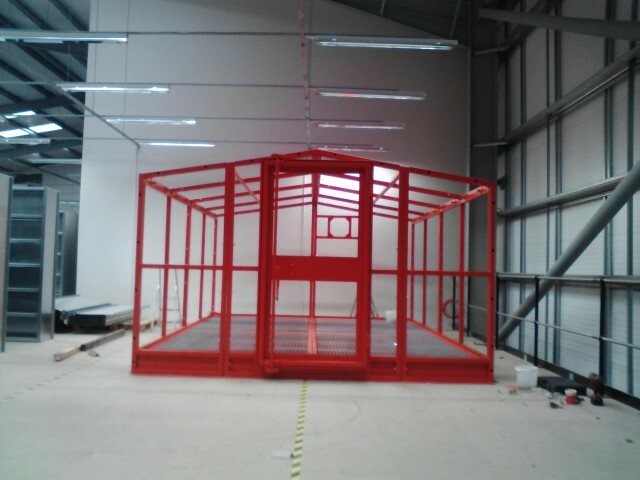 Images then illustrate the assembly of the custom flat pack FireVault in the clients purpose built warehouse in Shrewsbury.